1. The present day Russian flag comprises three colors: white, blue and red. 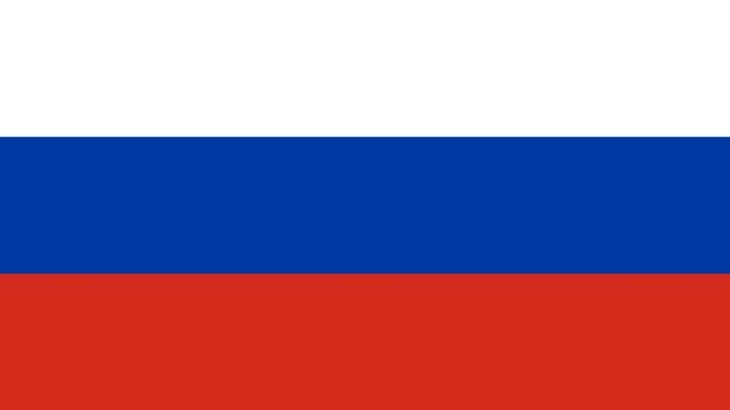 It was adopted as national flag of Russia after the dissolution of Soviet Union in 11th December 1993. 2. There are several interesting interpretations about colors of Russian flag. In the past, the interpretation of colors was as; the white color of Russian flag shows the liberty, blue color indicates the Virgin Mary (Bogoroditsa), and red color specifies grandeur. The present interpretation of three colors of Russian flag is as the white color represents the nobility and honesty, the blue color is the indication of faithfulness, impeccability, honesty and chastity. The red color is the sign of generosity, courage and love. 3. For the first time, this flag was used as banner by Russian merchant ships. Later on in 1696, it turns out to be an official flag of Tsardom of Russia that maintained its status until 1917 or before ending the establishment of Russian Socialist Federative Soviet Republic. During the existence of Soviet Union, the red field was incorporated with golden hammer and sickle along with golden bordered red star that were present on the top edge of flag. 4. In 1991, right after the dissolution of Soviet Union, the pre-revolutionary tricolor was introduced again as a Russian Federation flag in the ratio 1:2. However, after the constitutional crisis in 1993, the Tsarist tricolor was fully reinstated as the existing flag. 5. Another interesting myth about Russian flag is that, this white-blue-red tricolor flag was used during the Second World War by the anti-Stalinist troops of Andrey Vlasov, who was against the Soviet Union in collaboration with Nazi Germany. culture russia flag colors, russia flag images, russian flag explained. permalink.